It really was a fun (and busy!!) Sunday! We started out with church as usual, and the message was particularly powerful today! 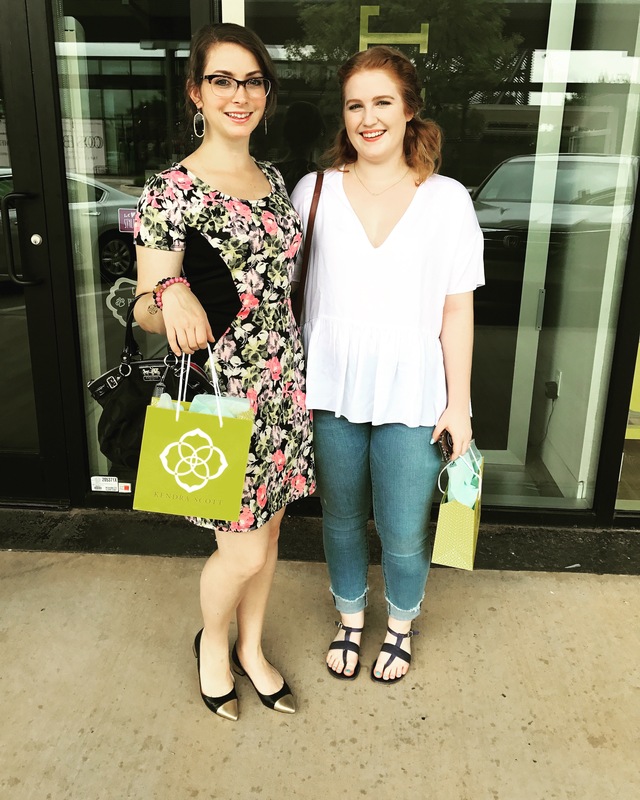 Then, we met our friend Emma for brunch at Flip’s Wine Bar and Trattoria, right by Classen Curve! Let me tell you, it was amazing! 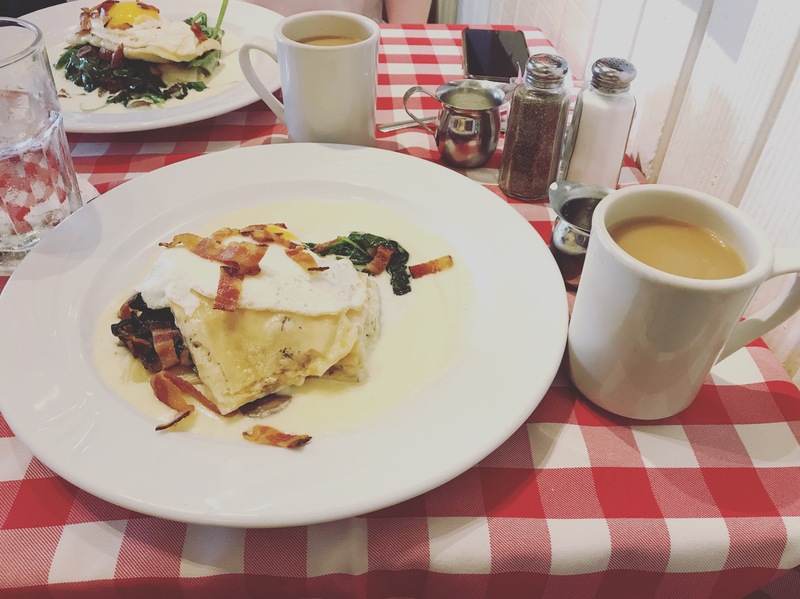 One of the brunch specials was a carbonara breakfast stack! It mixed creamy pasta with breakfasty eggs, which sounds weird, but it was phenomenal! All three of us got it, and it was rave reviews all around! They also have great coffee! 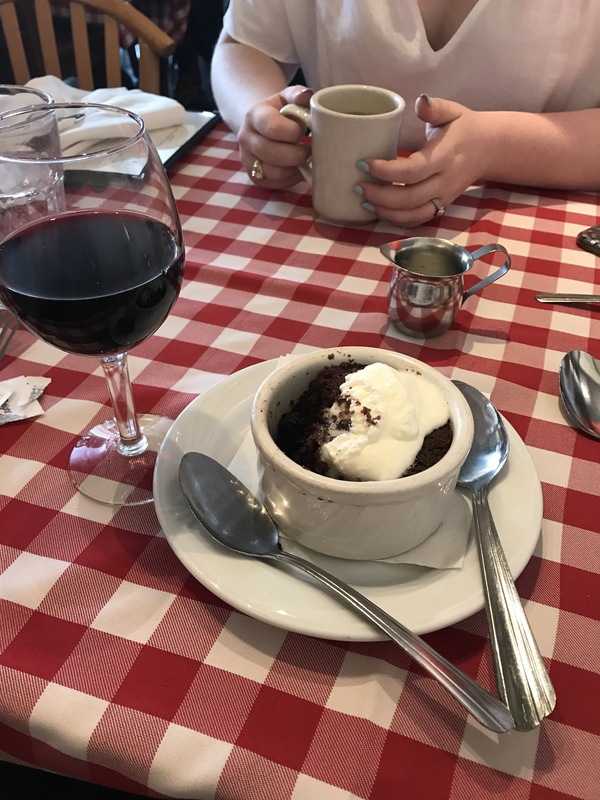 When I brunch, I brunch hard, so I ended with a delicious “ooey gooey” chocolate cake paired with a nice Malbec! The cake literally melts in your mouth!! Here is a full outfit shot! After all of that, the errands began, but I am so glad we took a break and had a #sundayfunday with a friend we hadn’t seen all summer!! Do y’all have any Sunday Funday rituals? Let me know!! Until next time!